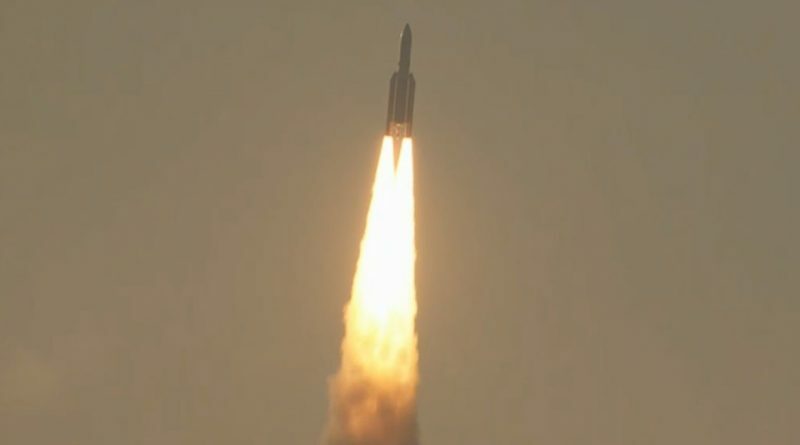 Europe’s Ariane 5 rocket lifted a pair of communications satellites into orbit for Australia and India on Wednesday in another textbook mission that also accomplished a critical test for the launcher’s successor currently in development for a maiden launch in 2020. 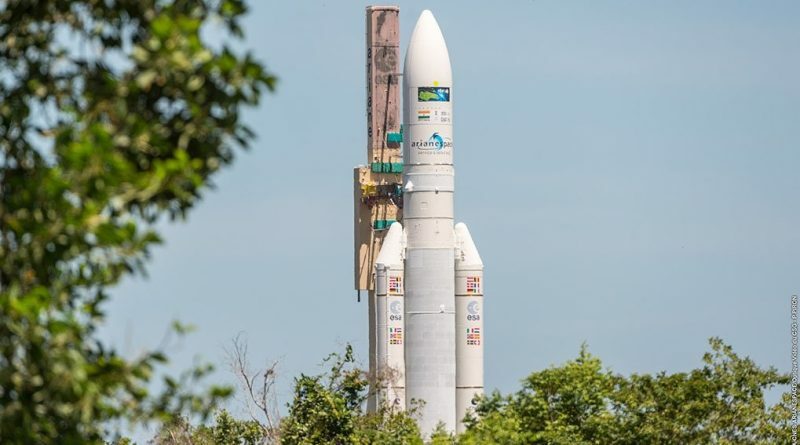 Europe’s Ariane 5 heavy-lift workhorse was rolled to its French Guiana launch pad on Monday to set up for its next mission to Geostationary Transfer Orbit carrying communications satellites for Australia and India. 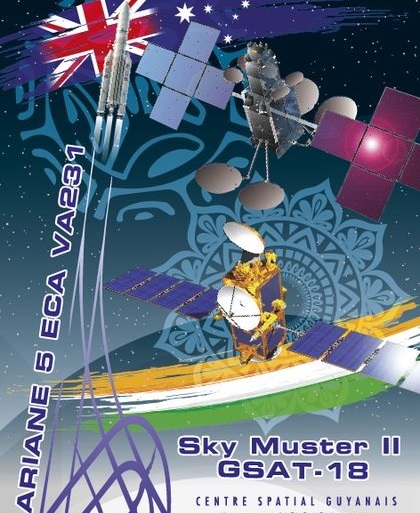 The Australian Sky Muster II and Indian GSAT-18 satellites take their places atop an Ariane 5 rocket in preparation for an October 2016 liftoff to join existing satellite constellations operated by the two countries. 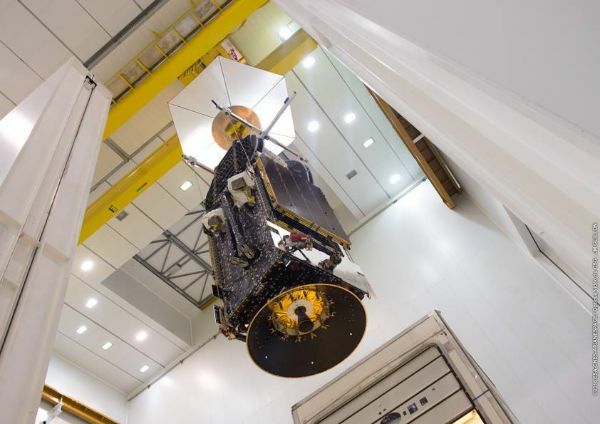 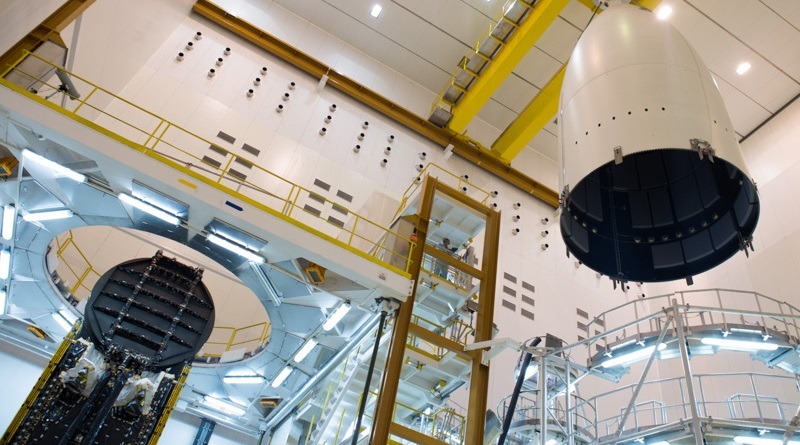 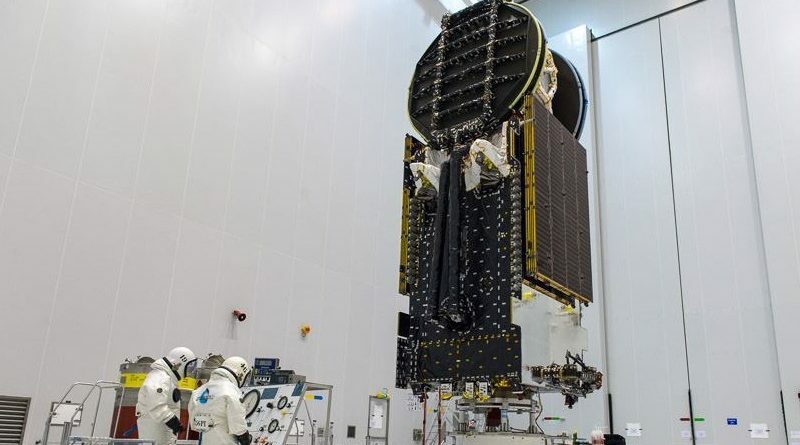 Australia’s Sky Muster II goes through final processing and testing at the Guiana Space Center to prepare for liftoff atop an Ariane 5 rocket to join its sister satellite to deliver high-capacity broadband services. 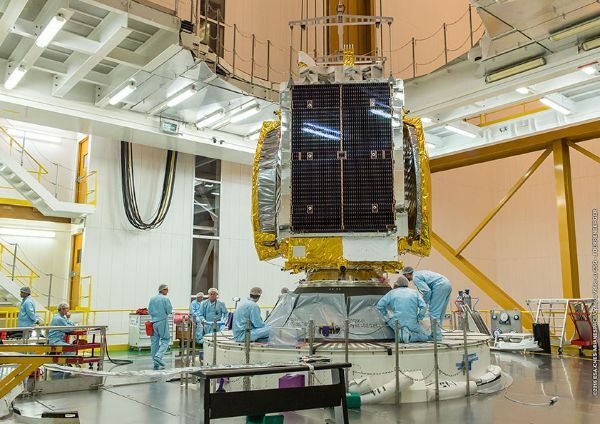 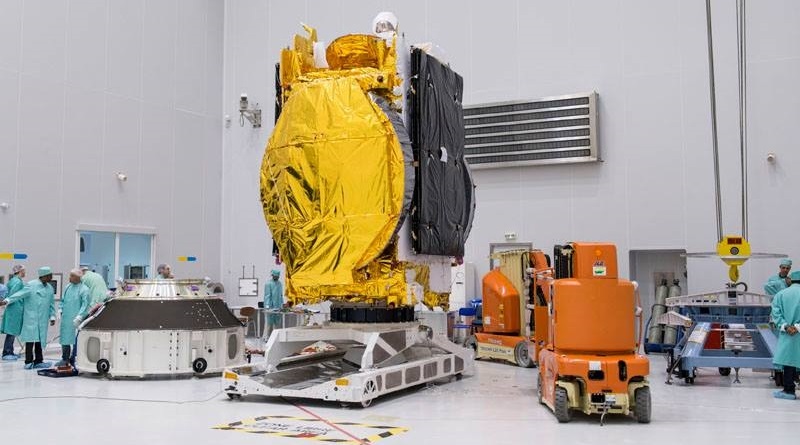 The GSAT-18 communications satellite finishes assembly at the Indian Space Research Organization ahead of shipment to the Guiana Space Center for final processing ahead of liftoff atop an Ariane 5 rocket.